Featuring: Mick Jagger, Keith Richards, Charlie Watts, Ronnie Wood, Christina Aguilera, Buddy Guy, Jack White, Martin Scorsese. Having already covered such musical talents as The Band in “The Last Waltz” and Bob Dylan in “No Direction Home”, director Martin Scorsese now turns his hand to iconic rock ‘n’ roll band The Rolling Stones. 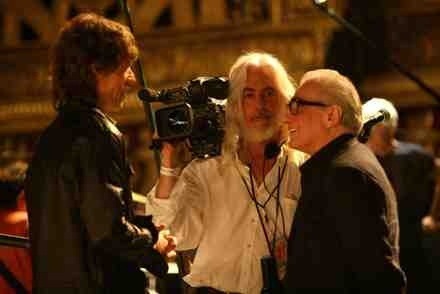 The closeness that Scorsese achieves is nothing short of magnificent. He must have had cameras everywhere and manages to capture the vibrancy of this fabulous band during their “A Bigger Bang” tour, playing at the Beacon theatre in New York. He manages to get so close you can see every wrinkle, every pore and you can almost smell the whisky from Keith Richards. Having been going strong for nearly 50 years (they were formed in 1962) and each band member over 60 years old, they’ve still got what it takes and can still get a crowd going. Their vibrancy is second to none and you can see why they have lasted so long. Tour footage is intercut with old footage of the band in their younger days and rise to stardom. It also briefly shows how the film was put together with footage of Scorsese conducting his documentary as the legends on-stage conduct their music. 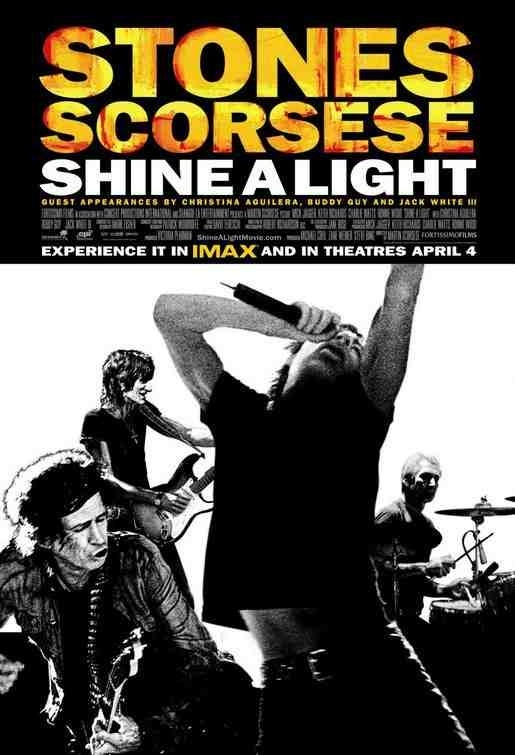 You can see Scorsese has a love and a knowledge of this great band. Otherwise, we probably wouldn’t hear so many of their classic songs played throughout his films. It’s just a shame that the band members have aged. This would have been a much better intrusive film had it been The Stones in their prime. However, they’re still an exceptional outfit, Mick Jagger’s energy still impresses and they remain my favourite. For Stones aficiondos only. If you count yourself as one, then you’ll love it. This entry was posted on January 11, 2012 at 11:35 pm and is filed under Documentary, Music with tags 2008. You can follow any responses to this entry through the RSS 2.0 feed. You can leave a response, or trackback from your own site. One of my favorite docus. It is a good one. A reminder that Scorsese can make as good a documentary as he can a feature film.